Barrick Gold’s (TSX, NYSE:ABX) planned sale of a 50% stake in Australia’s Kalgoorlie mine has been pushed out further after Minjar Gold, the Chinese bidder, walked away from the deal citing new capital controls instituted by Beijing. Perth-based Minjar Gold, a unit of Shanghai-listed Shandong Tyan has also been struggling to secure funding for the deal worth as much as $1.5 billion. Its biggest offshore acquisition was Evolution Mining's (ASX:CAH) Pajingo mine for $40 million back in 2015. Barrick president Kelvin Dushnisky told Reuters in February the Toronto-based company, the world's top gold miner by output, would be "happy sellers" at the right price, but would also be "very happy to continue to own that asset". World number two Newmont Mining owns the other half and Barrick handed over operational control of the the iconic mine called the Super Pit to Newmont in May 2015. Denver-based Newmont would be the natural buyer and has expressed interest in the mine, Australia's largest gold open pit, in the past. 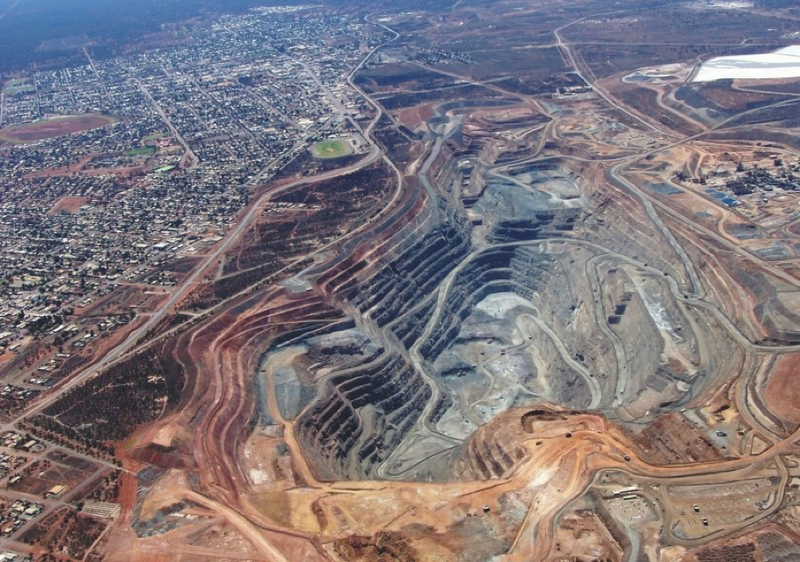 Kalgoorlie produced just over 750,000 ounces last year. Newmont has first right of refusal on the stake sale, but Barrick could circumvent that by selling shares in Kalgoorlie's holding company KCGM. Valuation of Kalgoorlie is all over the place with analyst estimates varying between $400 million to about $1.5 billion. Reserves at the mine top 7.5 million ounces. The Super Pit is expected to be depleted of ore by the end of the decade but underground mining could continue after that. KCGM also operates the 56,000oz per year Mt Charlotte mine 3km from the Super Pit. 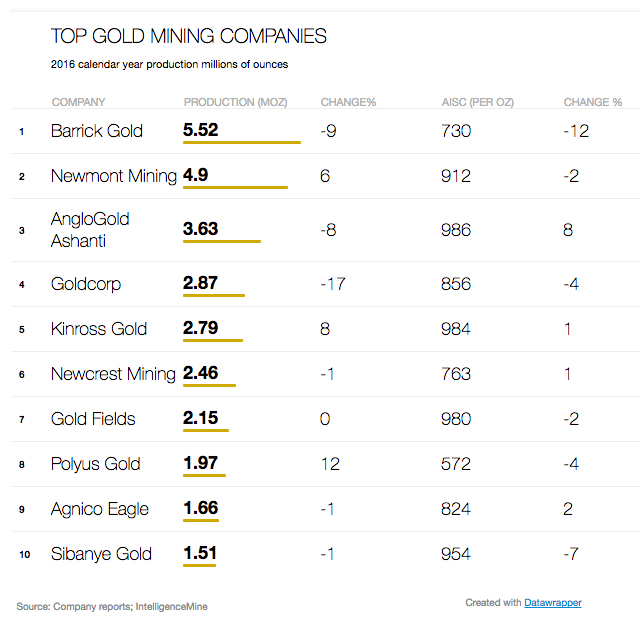 Should a transaction between the companies take place it would push Newmont past Barrick as the world's largest gold company in terms of output.